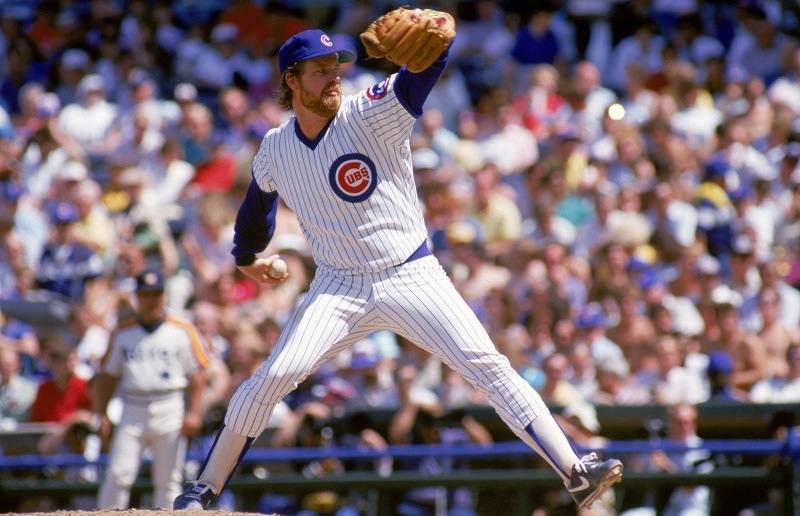 October 7, 1984 – “Paradise Lost,” screams the headline of the Chicago Tribune the day after the Chicago Cubs lose 6-3 to the San Diego Padres in the fifth game of the National League Championship series. “I’ve never been a good loser,” says General Manager Dallas Green. “I really feel bad for our guys and all the Chicago fans. We had them by the throat but we just didn’t go for the jugular. It all came down to one ballgame and we just didn’t get the job done. We played good until the last three games of the season.” [Chicago Tribune, October 8, 1984] The Cubs are ahead by a run until the disastrous seventh inning. Carmelo Martinez leads off with a walk, and Garry Templeton sacrifices him to second. Tim Flannery, a pinch-hitter, then hits a ground ball to first for a sure out, but first baseman Leon Durham cannot field the nine-hopper and Martinez scores to tie the game. Three more runs cross the plate before the Cubs retire the side, and the damage is done. The loss is particularly painful because in the first two games of the series, played in Chicago, the Cubs outscored the Padres 17-2. Then the trip out west saw the Padres come back to win three games in a row and clinch the championship. It was nearly dark in a Chicago suburb when I wordlessly turned off the television and left my wife and two daughters, aged 7 and 5. A mist was falling outside as I left the house at dusk and walked in the cold rain, one more walk to shake off the bitter disappointment that being a Cubs fan had brought through the years and would continue to bring until 2016. If you can bear to look, the Game Five boot can be found here. October 7, 1947 -- The Chicago Tribune uses its editorial page to support a movement afoot in the city to change the name of Balbo Avenue, the former Seventh Street. “It is disgraceful,” the paper observes, “to have a Chicago street named for a man who represented and helped found a system of government that Americans despise.” The city council fails to take action on a petition requesting a name change for the street because that petition did not have a sufficient number of signatures from actual property owners on the street, many of whom were members of trusts and estates scattered throughout the country. 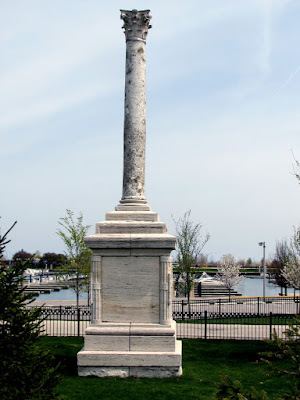 The paper ignores this technicality, telling the city’s aldermen to “change the name of Balbo Drive immediately” also suggesting that the street might be renamed after Lieutenant Commander John Waldron who died at the command of Torpedo Squadron 8 in the battle of Midway. Seventh Street had been renamed in honor of Italo Balbo, the commander of a squadron of 24 seaplanes that flew from Rome to Chicago in 1933 to appear at the Century of Progress World’s Fair that summer. More information about the Balbo mission can be found here. The renamed Seventh Street is not the only reminder of the Italian fascist aviator. 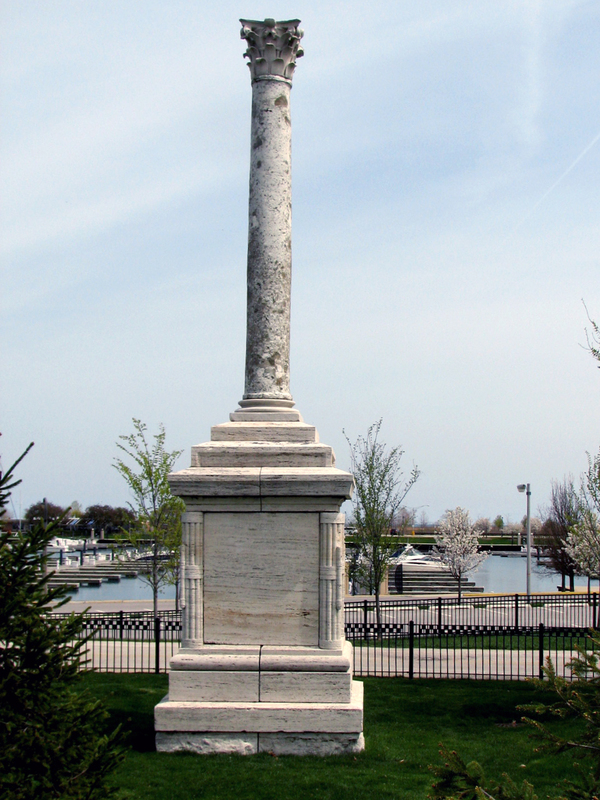 The Balbo Column, pictured above, was a gift from Balbo in 1934. It stands not far from Soldier Field.